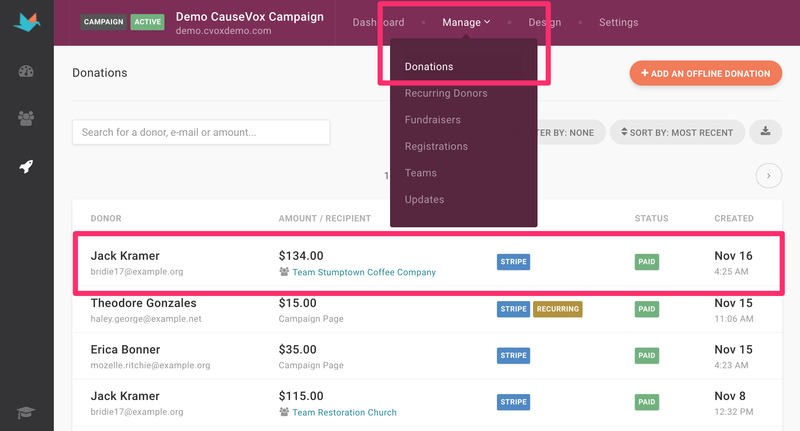 Step 1: In your Admin Dashboard, click on Manage and select “Donations” in the dropdown menu. 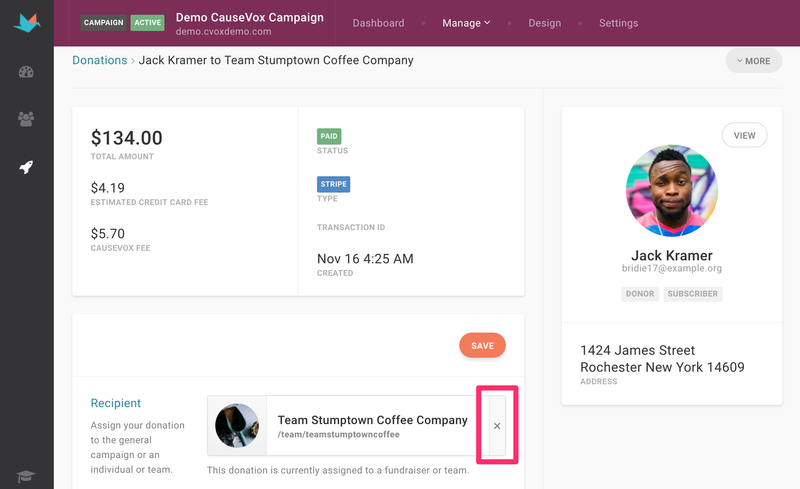 Step 2: Search for the donation you would like to move and click on it to see details. Step 3: Under Recipient, if the donation is already assigned to a page, delete the page. 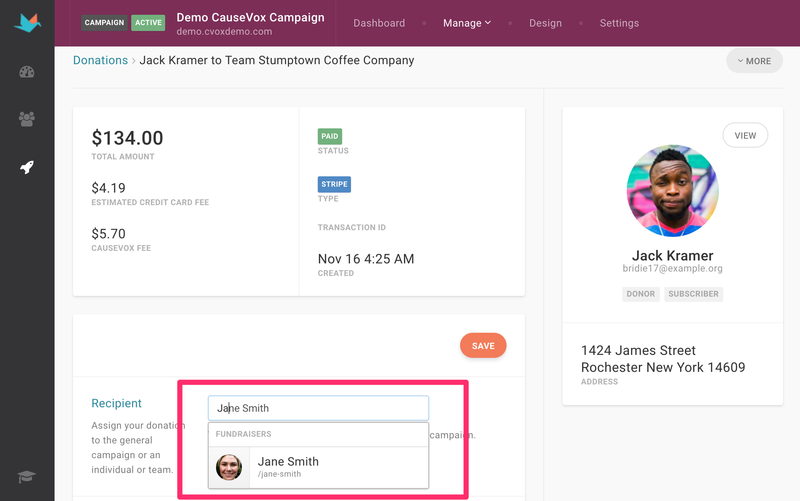 Now that the Recipient section is clear (or if it was clear already), type in the personal fundraiser or team fundraising page name to whom you would like to assign or reassign the donation. Note: If you leave it blank, the donation will go to the general campaign.